Whether you’re a complete beginner or an experienced paddler, come join us in the fun and adventure of the fastest growing sport in the world! 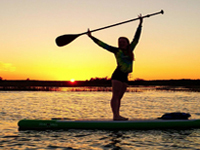 We offer Stand Up Paddleboarding (SUP) lessons, group and family outings and tours, sunset paddles, moonlight paddles, sunrise paddles, SUP race training, and even a little SUP yoga and fitness. 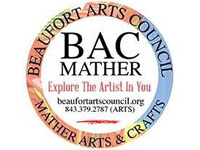 Since its founding in 1991, the Arts Council has served the cultural communities of Beaufort County. The BAC maintains an ongoing dialogue with community members, artists, schools, and businesses to keep its programming fresh and pertinent to the needs of County with vibrant programs, ideas, and extensive services. 921 Ribaut Rd., TCL Campus Building 1. Beaufort offers family-friendly fun all year-round. This charming coastal town has plenty of activities for children of all ages, as well as opportunities for recreation at every turn. Rent a bike, spend time on the beach, explore a state park or relax on a porch swing overlooking the waterfront. The fun never stops in Beaufort! Spanish Moss Trail: Enjoy the Great Outdoors This Summer!